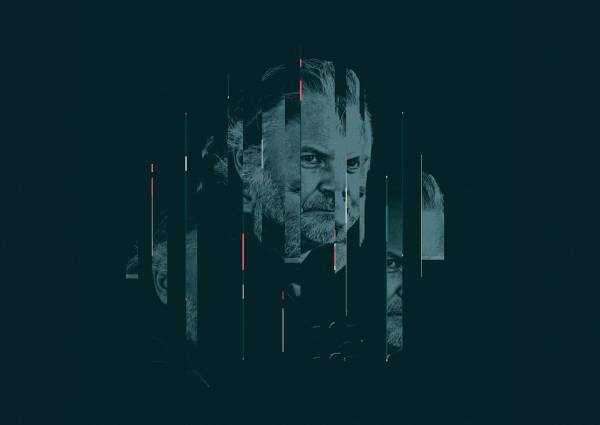 The second half of the 2018/2019 season at Deutsches Theater Berlin will present The Misanthrope by Molière, directed by Anne Lenk with Ulrich Matthes starring as Alceste, Got Lost in the Woods, the first virtual reality production in the history of the Deutsches Theater, directed by Robert Lehniger, The Resettled Woman by Heiner Müller, directed by Tom Kühnel and Jürgen Kuttner, ugly duckling by Bastian Kraft and the ensemble which is based on the fairy tale by Hans Christian Andersen and the co-production with the Burgtheater Wien, A Horse Walks into a Bar by David Grossmann, directed by Dušan David Pařízek. In May and June 2019, the Autorentheatertage will offer a stage for new German plays and authors from European theatres. They will be kicked off with Radar Ost, a show-case of contemporary productions from Eastern Europe and Russia presented in Berlin. Radar Ost takes place from 22 to 26 May 2019 and the Autorentheatertage from 29 May to 8 June 2019. Molière impaled his characters like insects, revealing himself to be both an expert judge of character and a comedy writer in doing so. The most fervent indignation, antipathy and rejection start to waver, the viewer’s fixed image of humanity starts to crack, and weaknesses become more bearable – at best even our own. This is the first virtual reality production in the history of the Deutsches Theater: the VR artists CyberRäuber invite the audience to take a new look at Grimm's fairy tale. They will encounter different versions of Hansel and Gretel – onstage and in virtual and augmented reality. The line between our reality and the dark parallel worlds of fairy tales, fantasy novels and Netflix series are blurring. The play premiered in 1961, then was declared counter-revolutionary and banned from the stages. Heiner Müller was subsequently taken out of the writers’ association of the GDR: “Free yourself / Break the shackles created by / your property”. Many of Hans Christian Andersen’s fairy tales deal with the subject of transformation. The fact that these can also be regarded as a masked game of sexual and gender transformation is the starting point for a project that juxtaposes Andersen’s fairy tales with the lives of Berlin drag queens. This coproduction with the Burgtheater Wien was premiered at the Salzburger Festspiele in August 2018. Dov Grinstein, a stand-up comedian, arrives in a dive bar in a barren industrial area of Netanya for his final show where he becomes openly offensive, plays the fool, tells dull and witty, vulgar and innocent jokes. No subject is off limits. But for him, this is more than just a show. 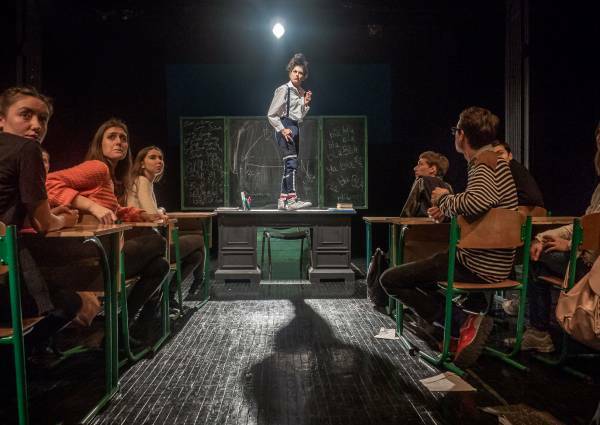 The Theater Neumarkt Zurich will stage Lisa Danulat’s play, the Schauspielhaus Graz the play by Eleonore Khuen-Belasi and the Deutsches Theater Berlin the play by Svealena Kutschke. All three will be premiered during the Lange Nacht der Autorinnen (Long Night of the Playwrights). The prize-winners will each receive a world-premiere performance fee of €10,000. In addition to the three award-winning plays, the Autorentheatertage will be presenting around ten more world premieres as guest performances for the first time in Berlin. 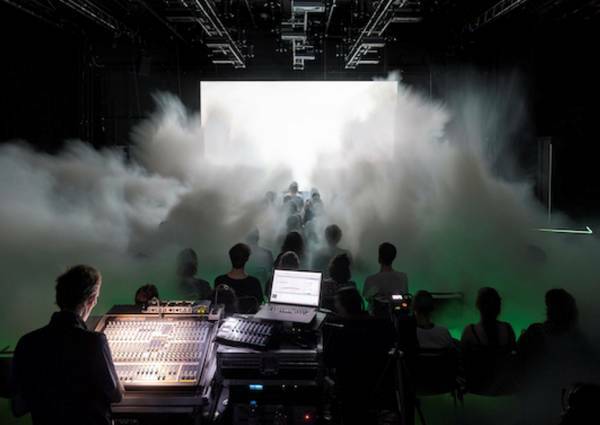 As it did last year, the festival will kick off with Radar Ost, a show-case of contemporary productions from Eastern Europe and Russia presented in Berlin. Radar Ost takes place from 22 to 26 May 2019 and the Autorentheatertage from 29 May to 8 June 2019. Please note that most of the DT productions are regularly presented with English surtitles.